The best way to manage wealth is to have a plan. Having a plan is essential to addressing the complexities and decisions associated with having high net worth. So is having a support team of investment and planning professionals to provide the guidance you need to define goals, consider options and make sound financial decisions. 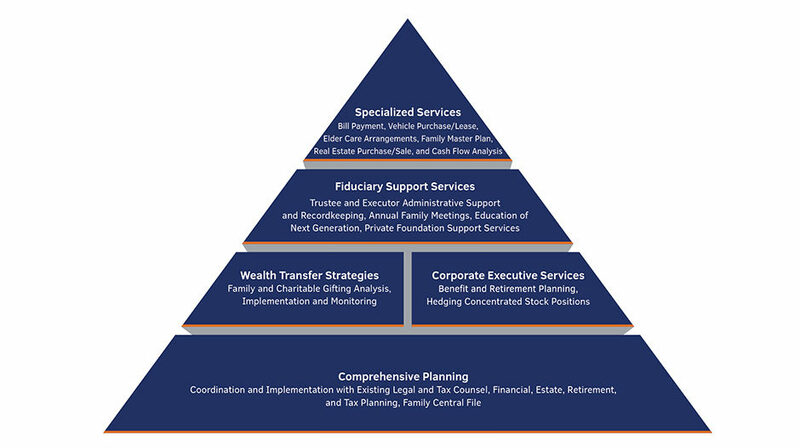 Our extensive experience and focus on personal service allows us to help you manage anything from everyday tasks like home or education funding to complex topics like estate and retirement planning or wealth transfer. We’ll even help you with less measurable, but no less important, issues like educating your family’s younger generation about the responsibilities that go with having accumulated wealth.